Other than “Who owns the property of a local church under the United Methodist Trust Clause?” the question looming largest in the minds of most Methodist clergy members is “What happens to my pension after the General Conference in February 2019?” The short answer is nothing: you own your pension and will continue to have it regardless of what decision is made at the General Conference. However, if you are leaving, or considering leaving, it is advisable to transfer your benefits in Wespath (the pension provider for the United Methodist Church) to your own IRA for safekeeping for retirement. With respect to future retirement contribution, have the local church open up a 401k plan for its employees, or, open your own IRA for retirement savings. Seeking the counsel of an attorney familiar with the state law on this issue is advisable when considering the pension issue. Please note that unlike any other type of pension plan, there is no Federal Law Protection of Pension Benefits for clergy. In 2017, the United States Supreme Court was asked if employee retirement plans of religious-affiliated nonprofits are exempt from the protections and requirements of the federal pension law. A unanimous U.S. Supreme Court ruled that religious – affiliated plans are not subject to federal pension laws. The Court rejected arguments that the Employee Retirement Income Security Act, known as ERISA, required a church to have originally established a “church plan” in order to qualify for an exemption from the employee-retirement law. If a clergy member left the denomination today, for example, accrued benefits under the Clergy Retirement Security Program (CRSP) cease, and are essentially frozen at the compensation level at the time of termination. Accrued benefits under the Pre-1982 portion of CRSP remain vested and secure; however, benefit increases are frozen at the time of termination. Account balances under the Ministerial Pension Plan (MPP) portion of the plan remain vested and secure, and a portion would be converted to a lifetime annuity at age 62. Clergy whose conference relationship terminated under Discipline ¶360.2, Withdrawal from the Ordained Ministerial Office, may elect to have the accrued defined benefit (DB) part of CRSP service since 2007 converted (actuarial equivalence) to an account balance and transferred to their CRSP defined contribution (DC) account. Currently, annual conferences are the “plan sponsors” of the UMC pension plans and are legally responsible for paying the benefits promised to clergy (BOD ¶1507). Pension liabilities are a long-term responsibility under current defined benefit (DB) plans. Annual conferences have pension liabilities for currently active clergy through approximately 2090 (based on actuarial projects). The annual conference needs to receive assets from the local church to offset the liabilities—related to clergy service in that local church and all its local churches—that remain with the annual conference after the local church departure. In 2004, the United Methodist Church made a financial decision relative to the retirement benefits of Methodist clergy contrary to most other religious and private entities: it moved from a 401k retirement plan to a traditional pension plan. As a result of this decision, Methodist clergy are covered by one or two pension programs depending on when they began to serve the church. Each is administered by the Wespath, formally known as the General Board of Pensions and Health Benefits in Evanston, Illinois. 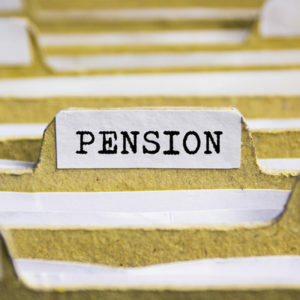 The Clergy Retirement Security Plan, which replaced the Ministerial Pension Plan on January 1, 2007, includes two components: a defined contribution plan and a defined benefit plan. The defined contribution component requires that each church with a full-time or part-time pastor contribute 3% of the pastor’s compensation. The defined benefit component requires payment of 10.4% of pastoral compensation from each church. In addition, the Comprehensive Protection Plan, with death, disability and survivor benefits, requires a payment of 3%, based on pastoral compensation up to twice the denominational average compensation. The total Clergy Retirement Security Plan / Comprehensive Protection Plan, contribution rate (3%+10.4%+3%) totals 16.4% of pastoral compensation, which is billed on a monthly basis to each local church by the annual conference. For pension benefits from the portion of CRSP called the Ministerial Pension Plan (MPP, for years of UMC service 1982-2006): For active clergy, these benefits are account balances that do not need to be converted. The account balances would be transferred to UMPIP, similar to a rollover. For pension benefits from the Pre-1982 Plan(for years of UMC service prior to 1982): Accrued Pre-1982 benefits would be converted into an account balance (dollar amount) equivalent and transferred to UMPIP. For pension benefits from the CRSP defined benefit(CRSP DB, for years of UMC service January 2007 until date of termination/relationship change): Defined benefits would be “frozen in time” based on the date of the clergyperson’s departure or a date specified by the General Conference. Frozen CRSP Defined benefits would be converted into an account balance and transferred to UMPIP. For pension benefits from the CRSP defined contribution(CRSP Defined Contributions, for years of UMC service January 2006 until date of termination/relationship change): CRSP Defined Contributions account balances would be transferred to UMPIP. All of the amounts transferred to UMPIP as described above would be invested in Wespath funds according to the direction of the departing clergyperson—similar to the clergyperson’s personal contributions to UMPIP. These amounts could provide opportunities for growth that do not exist in pension benefits (depending on market conditions and fund returns), but no longer guarantee lifetime income. Direct contribution benefits are portable, no matter where a clergyperson serves or if the pastor leaves ministry altogether. It is important to consult with an attorney familiar with the state law on this issue when considering the pension issue. Please contact one of the professionals at Dalton & Tomich, PLC to discuss questions that you may have about pensions and the local pastor.